The Refresher FS2 is a sturdy and stylish golf automobile that comes with a powerful engine and a large storage unit at the back for refreshments. 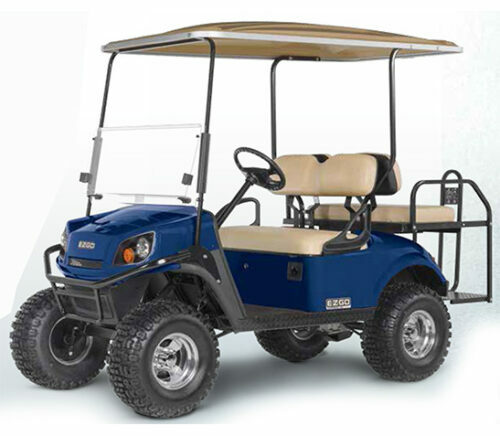 The modern features and accessories of the Refresher FS2 such as its trendy signalling system and stylish colours, as well as matching slate or tweed brown canopy reassure you that golf cars can also be a lot of fun to travel around in. 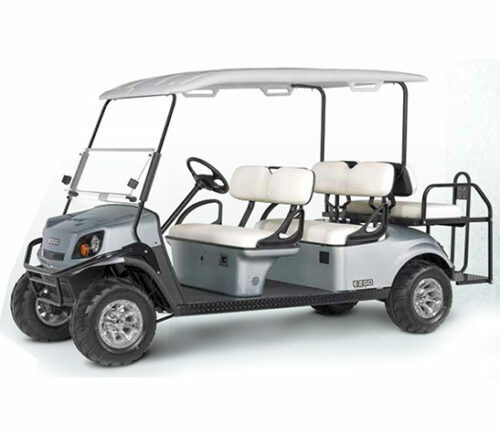 The Refresher FS4 built by E-Z-GO is a spacious refreshment automobile with a powerful gasoline engine and easy manoeuvring capability for a smooth ride around the golf course. 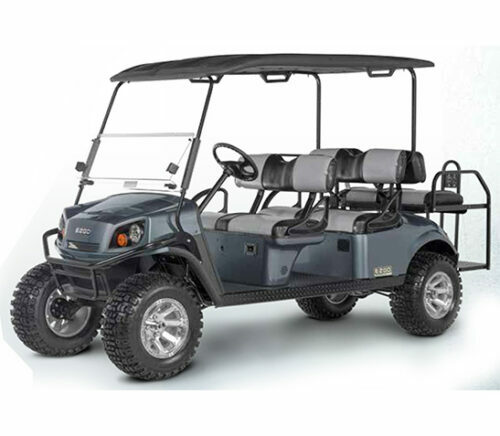 The cart is smartly designed keeping in mind all the requirements of an avid golfer, with specifications and features such as a mammoth beverage unit at the back, that will make you want to play golf every day of the week just to take a ride in the Refresher FS4. The Shuttle 2, quite like its name, is an ultra modern carrier automobile that is fashionably equipped with the latest technology and state-of-the-art features and accessories. It comes with a powerful 13.5 HP gasoline engine and an excellent braking and suspension system that provides a comfortable ride no matter the terrain. The Shuttle 2 has clean and smart design that efficiently combines comfort with a panache. The Shuttle 6 built by E-Z-GO has been designed keeping in mind factors such as style, luxury and efficiency. The powerful gasoline engine and the spacious as well as stylish build of the car ensure a pleasant ride to and through the golf course. The Shuttle 6 has a sturdy steel chassis and an excellent braking system that makes sure you’re safe and comfortable no matter the speed you’re cruising at. The Shuttle 8 is a mammoth commercial utility automobile that has a powerful engine and spaciously comfortable interiors to carry around 8 passengers with ease. The largo cargo box provided at the back means that the entire luggage can be carried together in a single trip without leaving anything or much behind. The trendy modern features and accessories that the Shuttle 8 is equipped with provide for a truly plush and pleasant drive around town.